Local Enterprise Partnerships, or LEPs as they are more frequently referred to, are a fairly new initiative, announced by the Government in June 2010. LEPs were established by the Coalition Government to replace the Regional Development Agencies. They are made up of local authorities and businesses with the specific aim to promote economic growth and jobs in local areas and currently there are 39 LEPs across England. Sustainable transport projects are a key element of the LEPs development programme and this year’s Sustainable Transport Delivery Excellence programme continues to support this. According to the LEP Network website, DfT and Public Health England have jointly written to LEP chairs to encourage: Links between the transport and public health sectors, consideration to using public health funding to support sustainable transport programmes and take-up of the support offered through the Sustainable Transport Delivery Excellence programme. Hilary commented, ‘Part of our strategic approach to sustainable transport is to enable access to jobs, education and skills whilst relieving congestion on our roads and improving reliability of services.’ This echoes SEMLEP’s strategy to ‘commit to supporting business investment and driving economic success and to creating the necessary infrastructure our area needs to create new homes and jobs for the South East Midlands’. 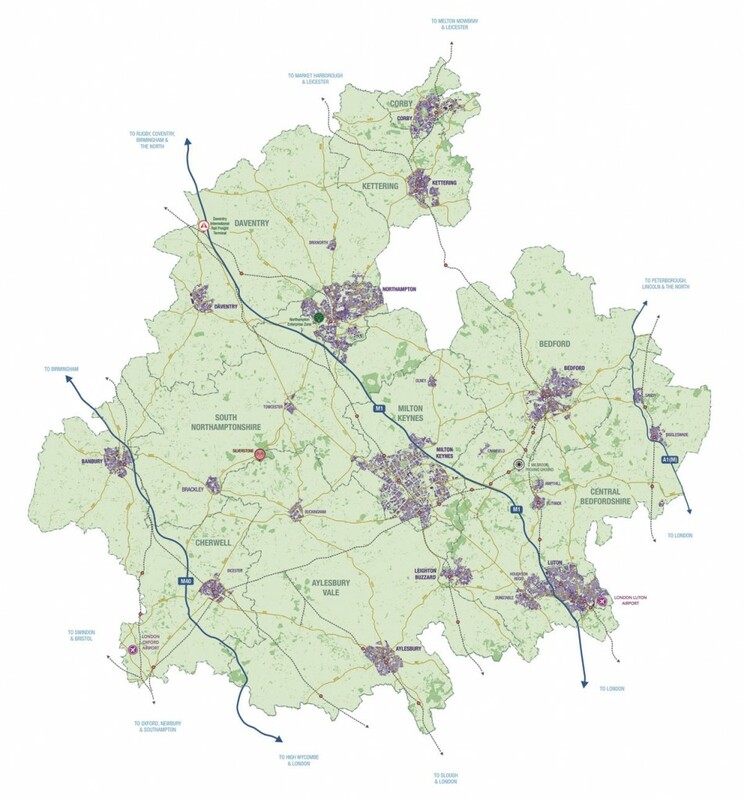 SEMLEP covers an area across Northamptonshire, Bedfordshire, Oxfordshire and Buckinghamshire, incorporating the councils of Aylesbury Vale District, Bedford Borough, Central Bedfordshire, Cherwell District, Corby Borough, Daventry District, Kettering Borough, Luton Borough, Milton Keynes, Northampton Borough and South Northants. Hilary explained that Local Growth Funds are all capital funds whilst initiatives for public transport often require revenue expenditure; finding the right initiative to invest in isn’t always straight forward. One of the key initiatives in SEMLEP’s 2015/16 bid for Local Growth Fund resources to support sustainable transport, working with Luton and Central Bedfordshire, was to recognise the need to develop a door to door transport strategy that links communities across conurbations encouraging healthier lifestyles and improving travel choices for local residents. I asked how RTPI was progressing as the original LSTF proposal had highlighted the problem that a number of different applications were currently being used across the area. 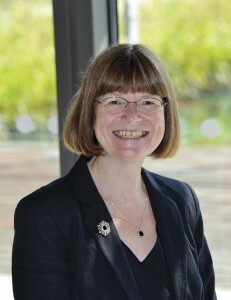 Hilary explained that RTPI remains an important issue in terms of encouraging greater use of public transport, but that things have improved since that first bid as adjacent local authorities, by integrating technology, are starting to overcome the problem caused by the different operating systems. She said that sometimes the information for passengers available at bus stops was based on scheduled timetabling. In rural areas, in particular, passenger information systems were few and far between and often customers confused information based on scheduled timetables with real time information. App based timetabling systems are also being investigated and we discussed the problem of weak telephone signals in outlying areas and the assumption that everybody would have smartphone technology and the financial means to download the necessary data. This could potentially alienate those on lower incomes, one of the bus network’s biggest user groups. Further down the line, the ideal would be to have audible announcements on the majority of bus services. The Luton-Dunstable Busway is a successful project in SEMLEP’s area. Arriva is one of three operators with services along it. Additional funding is being invested by Arriva and Stagecoach, the main operators in the area. Many of the strategies that SEMLEP are investing in include multiple boundaries and operators, with one of the main aims to provide transport links between the biggest towns in the region. In order for this to be successful, the organisation has recognised the need to engage with all operators within their catchment area and look at the possibility of a smart ticketing system preferably with a contactless payment mechanism that works for all. During the most recent meeting with Transport Officers, a debate took place on the subject of smart ticketing. Both Arriva and Stagecoach have their own ideas on the best way to go forward with this, during a time of ever evolving technology. Arriva are exploring both smart technology and contactless systems whilst Stagecoach seems to be moving towards an app based, contactless fare system. Hilary commented, ‘We are all keeping an open mind at the moment, we have to consider all the operators and the costs of implementing the systems whilst ultimately enabling passengers to have easier access across the area.’ This led to a discussion on multi modal ticketing and Hilary admitted that their experience indicated that most local buses are ‘behind the times’ in terms of the use of the latest technology. Across the inter-urban network in the South East Midlands the experience of customers is very mixed. The partnership has been working with Greener Journeys and Hilary explained that Claire Haigh, CEO of Greener Journeys, had been instrumental in helping to forge the relationships with the local and independent operators by way of introduction and explaining how LEPs and operators can work together to improve passenger services. The Oxford-Cambridge corridor is a key axis for SEMLEP. Stagecoach upgraded their X5 service between the cities in January 2015, introducing high specification Plaxton Elite Volvo coaches. The two organisations have also orchestrated a meeting between those LEPs that have an interest in sustainable transport projects to share information and ideas between themselves and local authorities on possible projects to bid for. This collaboration and sharing of best practice across LEPs has also been supported by Stephen Fidler, Deputy Director for Buses and Taxis at the Department for Transport (DfT) and formerly Deputy Director for Local Transport Funding and Infrastructure within the Department. The first meeting was due to take place whilst this report was being prepared. Hilary commented that the LEP was ‘very important in terms of transport funding, jobs, growth and skills within the area and that the LEPs recognised that good transport links were very important to help achieve their aims.’ She explained the need for ‘bridging the gap’ between the different services, saying that there would need to be some trade-off between the operators in getting customers from A to B. In order for bus transport to be attractive to commuters, they needed to offer a fast and direct service which then had the potential of isolating those in the surrounding villages. With any potential grant funding to a private operator the issue of state aid would need to be considered. When asked about the provision of secure cycle parking Hilary suggested that the uptake on these hadn’t been as good as initially hoped and that more work was needed to promote them. Milton Keynes in particular is striving to provide hundreds of bicycles to rent across the city in a scheme not unlike the one in London with bike parks being available at both bus and railway stations. Hilary commented that a ‘culture change was needed for passengers to make full use of all modes of sustainable transport in making end to end journeys’ and that the promotion of the health and environmental benefits needed reinforcing. Improving skills and apprenticeship schemes are areas that SEMLEP is focussing on and they recently supported the National Apprenticeship Show 2016, held at the Arena MK in Milton Keynes during National Apprenticeship Week. They have initiated an Apprenticeship Portal, which is designed to ‘help SEMLEP businesses and stakeholders to prepare for the new Digital Apprenticeship Service and Apprenticeship Levy in 2017’. Their website states that their ambition is to ‘support our providers and employers to contribute a significant number of new apprenticeship starts in our geography, helping the Government to achieve their ambition of 3m new apprentices by 2020’. I asked her whether the shortage of skilled engineers within the bus and coach sector, notably due to an aging workforce and lack of apprenticeship schemes, had been discussed. Logistics and High Performance Engineering are two key sectors that SEMLEP are focussing on within their area and Hilary was interested to note that the transport sector was also experiencing difficulties in terms of recruitment and suggested that this was something that they could look to help improve. Within SEMLEP’s boundaries, they have focussed on two major corridors, north-south from Northampton through to Aylesbury to High Wycombe and east-west, from Cambridge to Oxford. 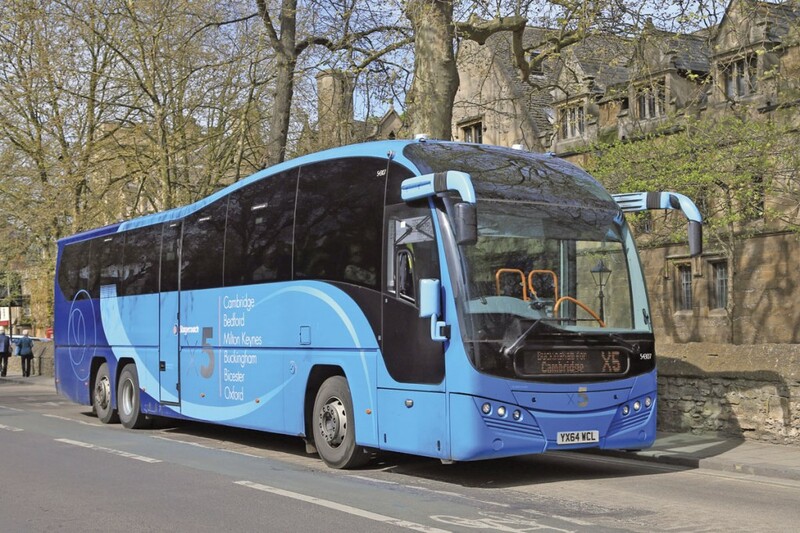 There has been a lot of consultation on the X444 project, an initiative of the Aylesbury Vale Transport Users Group, to provide an express coach service from Northampton to High Wycombe, which at the moment isn’t well served. Unfortunately, this now appears not to be viable, despite it being considered an important corridor, as talks between councils and operators did not generate enough interest. Getting funding for the survey has also proved problematic. It is hoped that road improvements in the area will provide strategic growth, thus creating a greater demand. The second corridor, which is a hot topic at the moment, is that linking Oxford and Cambridge. Lord Adonis, Chair, National Infrastructure Commission is undertaking a study, due to be published in the autumn of 2017, on what he believes could be ‘England’s Silicon Valley’, but lacks the housing and transport infrastructure needed. The network would incorporate surrounding cities and towns such as Milton Keynes, Northampton, Bedford and Luton and his study will focus on all modes of transport and their contribution to economic growth. More locally, the VT99 project, so named after a Virgin Trains rail replacement service, is one of the projects for which funding was sought. Running from Milton Keynes to Luton town centre and the airport, the 99 route, as it is now known, is operated by Stagecoach. 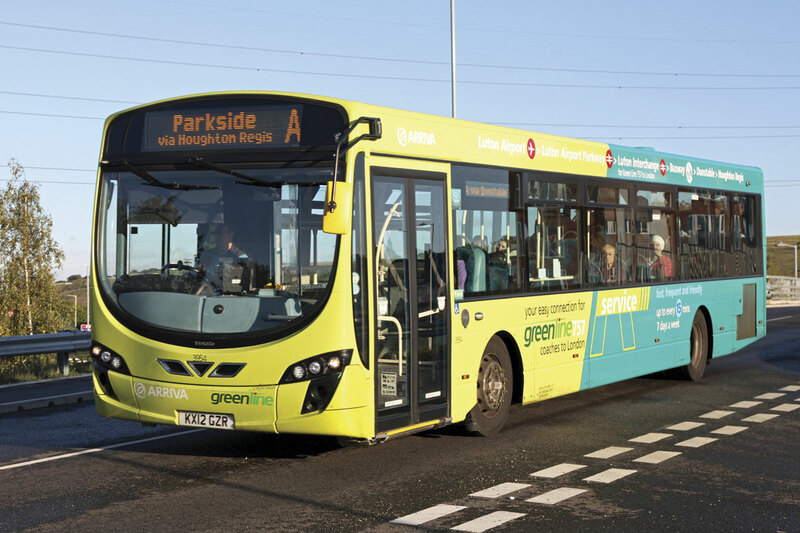 It currently runs half hourly during peak times and hourly throughout the day and the funding would help to provide a more frequent half hourly timetable. It is hoped that increased passenger numbers will enable Stagecoach to maintain the improved timetable throughout the day. Other projects that SEMLEP has been involved in include the Luton Dunstable Busway, which Hilary said is working very well and has helped tremendously in the area to get cars out of the towns and the recently completed Bedford bypass with an adjacent cycleway, which has alleviated some of the congestion problems in the town. LEPs certainly seem to be taking a very active role in providing sustainable transport solutions which consider the importance of buses and coaches within that objective and I look forward to following their progress.